past biochar workshop. Check out the fun and learning. Workshops done. 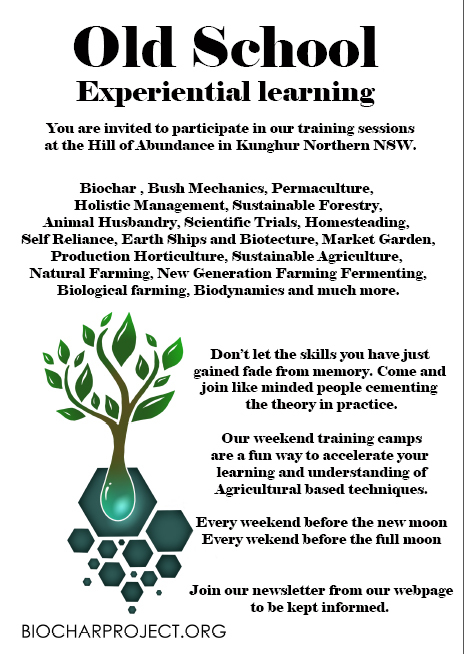 Biochar workshops that we have already run. Biochar Workshops by Biochar project Australia. 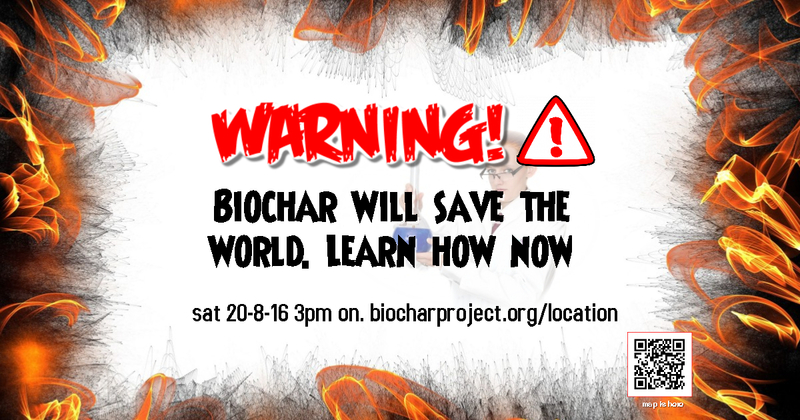 Every year biochar project in conjunction with other passionate folks bring you great weekend tutorials in biochar packed with fun and self sufficiency adventure. This year I have set aside each weekend that is close to the full moon to take advantage of the energy and light of the moon to do an overnight biochar burn lesson. Because biochar is only one part of the puzzle for obtaining a sustainable planet, We like to give you other opportunities to get exposed to other parts of the puzzle whilst your here. Please see below for our next offering and click on the links. I will try and have them updated so they all work whilst I change the look of the site for this new year. The year of the wood goat. Get excited because I am a fire goat and this is a wood goat year. Burn baby burn biochar workshops. Our Next Series of Workshops starts The weekend of the 13th June 2015. Biochar hands on training weekend 13th – 14th June 2015. Please click below links to get general gist. Biochar hands on training weekend 11th – 12th April 2015. Workshop Saturday 31st January – Sunday 1st of February 2015. Featuring a shelter makers workshop and Waste vegetable oil processing for fuel + Biochar Full description click here. Biochar at Drake NSW 18th August 2013. Living Architecture Econospace weekend building. The Biology of Biochar. Saturday May 4th 2013. At Biochar Industries HQ Kunghur NSW Australia. You will find direct info to our workshops as we create them and once the workshop has been completed the above links will then show the entire event with pictures videos and great stories. Please comment and help us create better workshops for the future.